Book tickets for flights from Kent International Airport. 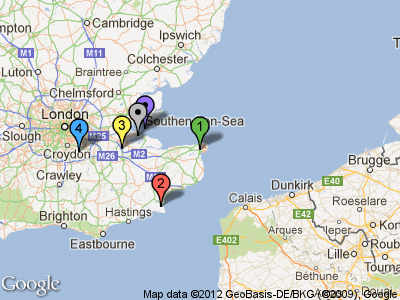 International and domestic flight destinations from Kent Airports. Actual arrival and departure times. Rent a car from Kent International Airport. KLM will operate launch it's service from Manston, Kent; to Schiphol International Airport in Amsterdam. Two flights will depart from Manston instantly transforming it into Kent International Airport. First people boarding the plane will be in April 2012. Manston is located close to Ramsgate in Kent. Ramsgate has a high speed express trains to Ashford for trains to Europe. Information on travelling from Lydd Airport and services available. Short guide to available facilities at Kent Airport, such as Parking and Cafe'.